Tonight is the night when all of the new releases (stamps, dies and such) are available for purchase at www.papertreyink.com! I have a few new sets to share with you. Here I've used the new Dress Up Dolls: Winter Fun (snowflakes, snowman, mittens, scarf and snowballs) and the new Fill in the Blank stamp set (thank you background). The background stitching die is cut with Noted: Scalloped A2 Vertical dies. 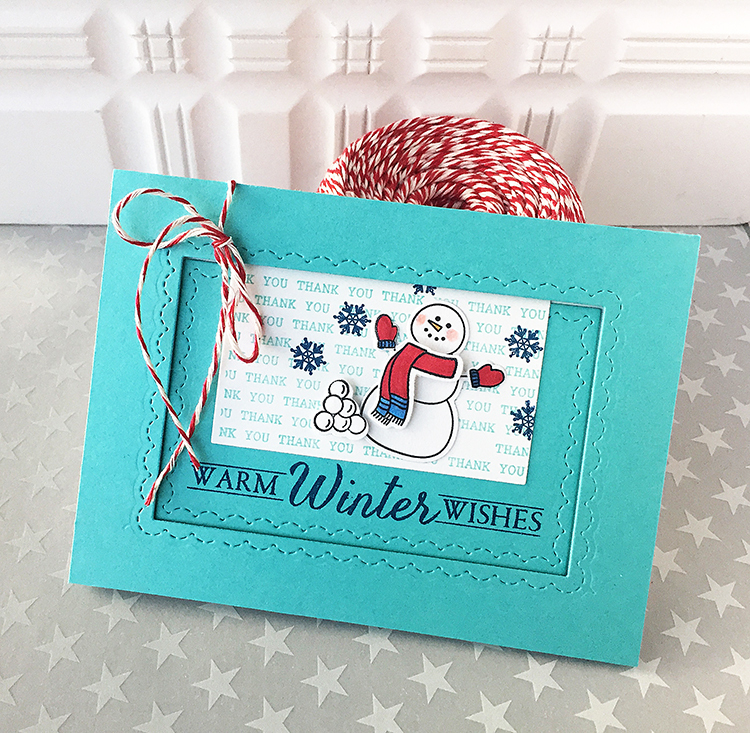 "Warm Winter Wishes" was stamped with an older set, Two Feet Deep. I thought the saying would be cute with the snowman. 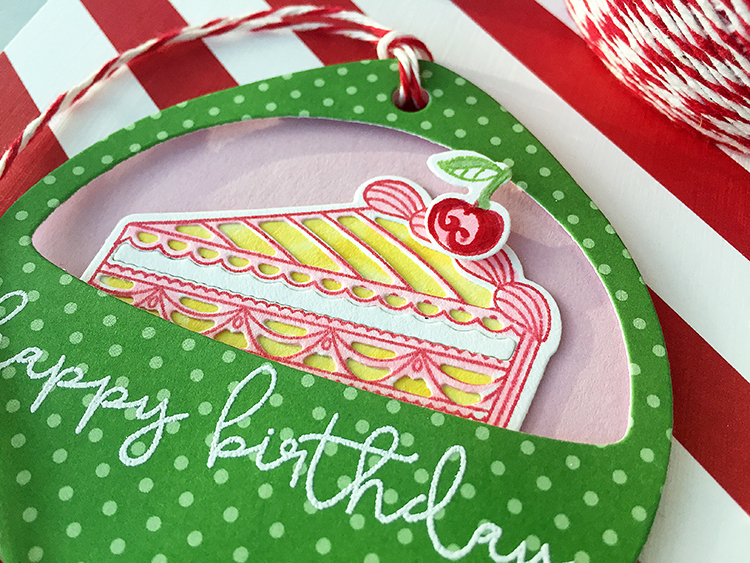 Next is the new What the Doodle: Piece of Cake and Keep It Simple: Birthday III stamps! 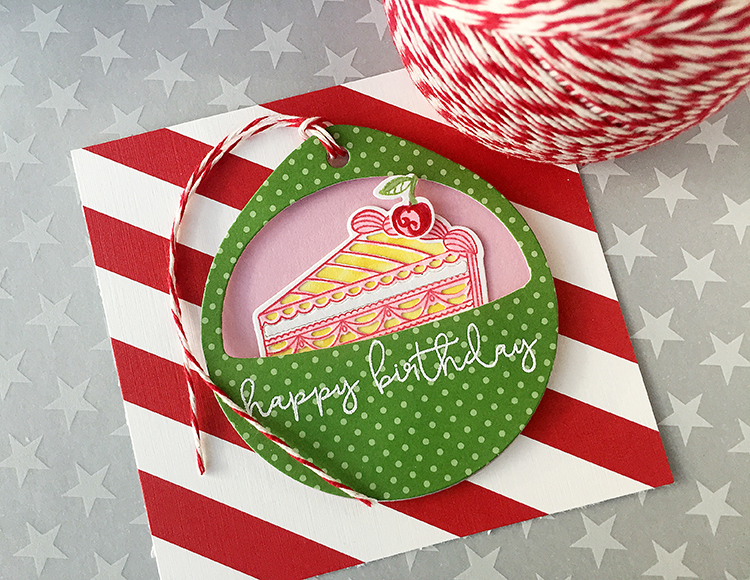 I've tucked the little cake inside the Window Cut Tag die. OTHER: white embossing powder, Copic markers. With great sadness, and after 6 years with Papertrey Ink, 10 full years of blogging and 1295 posts, I've decided to step down from crafting and all of my design teams. As some of you might know, I went through a horrible, unexpected divorce last year. It was the roughest year of my life. Since then, I've hung on to crafting, as it was one of the things I enjoyed the most, and although it was very difficult to craft many days when I had to come up with my monthly projects...it did get me through some very hard times. Since then, I've been picking up the pieces one day at a time. I bought my home and refinanced it in my name. I paid off my car. I met a wonderful guy who showed me that I'm worthy of being loved as I am. An unexpected opportunity came to me a couple of months ago, working with breast cancer patients. This past weekend, they asked me to become full time, working with these patients, scheduling their surgeries and following them for months as they go through their mastectomies and reconstructions. I love my patients! I feel as though my situation, having changed, is driving me with this desire to help others get through their difficult times! I hope to still have time here and there to make things when the inspiration strikes me, and will continue to post my projects when I'm able. I don't want to give up crafting all together. I hope you will continue to stop by now and then to say hello. I will miss my Papertrey Ink family tremendously! Papertrey Ink has been my life the past 6 years! Paper crafters are the most kind and amazing people, and I'm so thankful for the friendships I've made over the past 10 years through this hobby. Visit the amazing design team to see more projects with the November release! Love this group of girls!! I will miss you here. Your designs have been among my favorites ever since I discovered your blog! Best wishes in your new career; it sounds like a wonderful opportunity for you and for your patients. Wow, I didn't expect to see this news! I am sad, and will miss you and your projects, but happy for you that you are on this new, exciting journey, and that you found much happiness again! Your projects are gorgeous, as usual, and I will continue to check back to see what you've created! I'm sorry to hear you will be leaving PTI, as I always enjoy your projects. But I just wanted to take a minute to say that you are to be admired and commended for getting through such a rough spot in your life, and finding balance, and pursuing things that make you happy. Best of luck in all of your new endeavors! I wish you all the best in your new adventure. Thank you for all your inspiring projects over the years. So sad, but also very happy for you, all at the same time. You've been a huge inspiration to me forever, going back all the way to Two Peas. You do NOT want to know how many cards I've CASEd or how many stamps I've bought because of you! 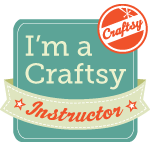 :) Please keep crafting and sharing. You just have to. P.S. 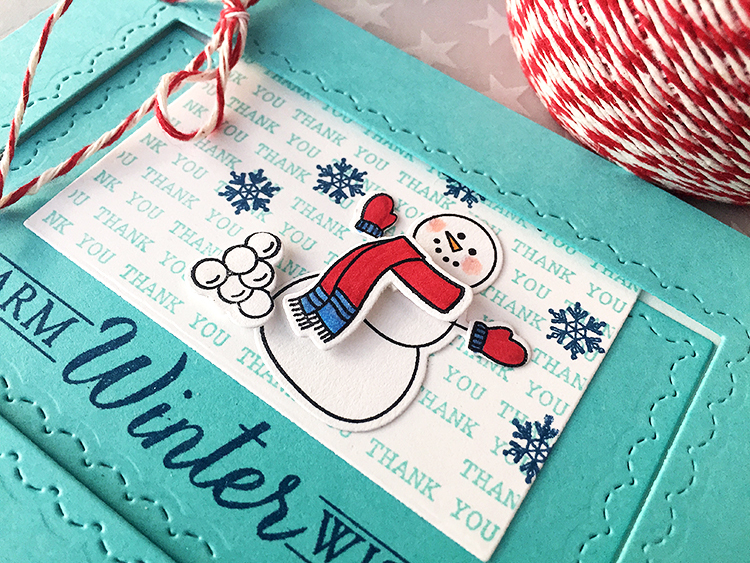 Your snowman card is so sweet that I see yet another (unexpected) set jumping into my cart. Many hugs to you! Oh no! I am sorry to see you leave Papertrey Ink. However, I truly understand your reason for leaving. It sounds to me your life is improving in leaps and bounds and you are headed in the right direction. I wish you luck in your future endeavors! You truly will be missed! The toughest times make you grow! I know you will use what you've learned to help others now. I wish you the very best, you will be missed! Many blessings for your future Danielle! Thank you so much for all of the sharing you do. I have several friends who have had breast cancer and the reconstruction and I admire your desire to help them. Best of luck to you in this new endeavor HUGS! Love your style Danielle and will miss you at PTI! But I am always drawn to your work and will keep my eye out for your future designs!! So happy you are finding joy on your new journey! All the best gingham girl! So sorry to see you go, but I am happy for you pursuing a job that will give you much satisfaction. Best of luck to you. Thanks for all your inspiration! So sad to think of you leaving the PTI design team, but happy to know you are moving on to something else fulfilling and that your future happiness sounds assured. Thank you for the years of design inspiration and artistic enlightenment. Much joy to you. You will be missed! Your designs and colors brighten and inspire, and I'm glad to hear you're not leaving us completely. Happy that your life will be filled with such a satisfying new venture. I'll continue to pray God shows you his perfect plan for your life. Blessings! And hugs! Danielle, wishing you the very best in your new endeavor. And glad to hear that you have a wonderful guy in your life! 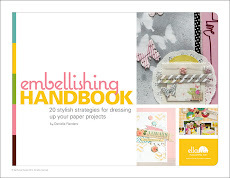 I have always enjoyed your Papertrey projects..you have great style! I'll check your blog from time to time. I'm sorry for the difficult times you have had to go through. May God's blessings be upon you as you begin this new chapter and help others during their difficult times. You will be missed! I'm so happy for your new venture, your guy and your future! I, along with the rest of your followers, will miss you dearly - your designs are always wonderful & creative & gorgeous! I wish you only the best that life has to offer, and hope that you continue to feel a deep sense of satisfaction from your work. Your projects have been a constant source of inspiration for me and I will miss that. I'm happy for you and your new direction! Sad to see you leave the PTI team. Will look forward to seeing a bit more of your crafting in the future, if you have time to post. I know you'll bring your best to helping your patients! You will be missed by all the crafting community especially those who frequent Papertrey Ink blogs. I am so HAPPY for you as you embark on this exciting new chapter of your life. God bless you and your family in this amazing new adventure. You and your designs will be sorely missed around PTI, Danielle! I am SO happy for you and your new endeavors! Life is always changing, like the seasons. I, for one, am grateful we have crossed paths, even if we've never officially met. You are an inspiration, and I appreciate how much you have added to my life. Don't be a stranger! Danielle, you will be sorely missed. Your art is is a thing of beauty and inspiration. With that said, I wish you only happiness and success in your new adventure. Life can take you to unexpected places, enjoy the journey! I will miss your contributions to this community! I'm so happy to hear that you have found this new calling helping women though such an sensitive time in their lives. Thank you for all you've shared with our crafting world and all that you're continuing to share with the world. Good luck in going through the open door of opportunity. It's scary to leave behind what is known but considering what you have been through,you are "specially" capable to help others in their time of need. I wish you well for your sake and for theirs. I'll miss you so much my sweet friend. You have been a part of my daily life for quite some time and I have loved working with you and having you by my side. You are dear to my heart and I wish you nothing but the happiest of futures. How lucky are those patients who have you to hold their hand, lighten their burden, and help them on their way to recovery. Sure love you! I hope you will be post as you can! I will miss seeing your gorgeous creations every month but hope that you are moving into something that brings you joy. Sounds like you have made it out of darkness and into the light! :) You deserve it! So sad to see you go. You are such an inspiration. You often make my favorite designs. Wishing you the best and God's love to flow down. Oh my, Danielle, I'm sad to know you're leaving us but happy your life has turned around. You have definitely inspired me with all your beautiful creations. That doctor's office and their patients are so lucky to have such a caring person assist them through difficult times. I look forward to any future blog posts or you popping in on the Forum occasionally. Best of luck and hugs to you! We'll miss you! Work that is satisfying & fulfilling doesn't always come along-- so glad it did for you! I wish you all the best in your new job. Oh no, Danielle, I'm so sad but at the same time so happy for you. You will definitely be missed. Your creations are beautiful. That doctor's office and their patients are very lucky to have someone so sweet and caring to be there for them during difficult times. Look forward to seeing an occasional blog post by you or at least popping in on the Forum. Best of luck to you and sending hugs! I'll miss your post. I always love seeing your projects, but am excited for you to begin a new path in life. I;ll look forward to reading your posts here when you do post here. Change IS good, even if it is tough some times. It shows us our inner strength will not let us down, but will often lead us in new directions. You have been a great example of this, and many good wishes for the new journey you are embarking upon. You will be missed in the crafting world, but your newfound direction will bring you even more personal growth and fulfillment. Danielle, we will miss you terribly. After what you have been through I can understand having a new direction in life and I hope it brings you much pleasure. You will make as many people happy there as you have here. I wish you all the best. Please visit often. Love the projects today, by the way. On the other hand, I am so glad you have found a rewarding career in helping to guide breast cancer patients. This is a terrible disease and it breaks us women apart. Thank you from the bottom of my heart for your kindness and support for these women as they navigate this miserable experience. Your kindness will shine the way for many of them. I wish you and your loved ones a happy and peaceful life. So sorry you will leave the DT you will be missed here! But such great and loving work you will do instead.. I wish you all the very best ..and so happy you found love again. I have appreciated your cards - the style, colors, and freshness in your designs. It's good to learn from hard spots in life as you have made many good decisions this past year, I'm cheering you on for the next adventure. Your patients will appreciate your support and empathy. thanks and best wishes to your future. Thank you for all the years of inspiration, Danielle, you'll be missed. Best wishes for happiness and fulfillment in all your new endeavors! Noooooooooooo! 😩 Just kidding. We'll sort of! I will miss your inspiration. I LOVE your style. You are so brave. Go after what your heart tells you to go after. I will keep checking back to see your beautiful inspiration, but until then best of luck Danielle!! Danielle, I am so happy for you and your new opportunity! I know you will be a big blessing to the ladies you interact with. I will truly miss your PTI designs--I always enjoyed your projects immensely. You are so talented! God bless you in your new role! I will miss you! I wish you all the best in the new job - that sounds wonderfully fulfilling! On a personal note so sorry to see you go, but having gone through the same experience with 3 kids, I can tell you that is not what you leave behind and by the little you express...good riddance! But the wonderful experiences and people that you will encounter in your life from now on! I am glad that you found this guy that treats and respects you and if he ever strays from the path you can count on us to give him hell! Just kidding, I am happy that you have found a purpose in life and that it is helping others, the Universe needs much more people like you! I wish for you in your future endeavors, that every morning you get awakened by a sunny day be it outside or inside yourself, for you to smell the roses in your path without the thorns pricking you on your way, and lastly a window full of hopes and well wishes for every day of your life! Thanks for the inspiration! So sad to hear you are leaving Papertrey-it's funny when you follow new product releases every month you feel like you get to know the design team members as friends! Love your work and your sweet voice on videos. Sounds like your new job is more than a job and I wish you well on your new endeavor. Thanks for all the inspiration you have given me over the past years. Danielle thank you so very much for all of the beautiful projects you have shared over the years. 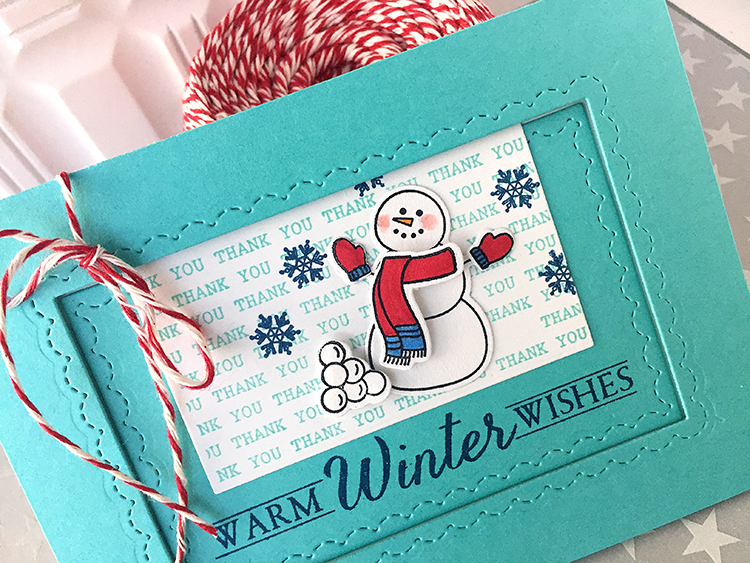 I have learned many things from you about cardmaking and great design! Congratulations on working with patients in the breast cancer field! What a blessing your beautiful spirit will be to them! I wish you all the best!!! You will be missed! May God bless you on your new path. Danielle, I will miss your designs terribly! They were usually my favorites!! You were a great inspiration to me as a card maker and lover of all things paper. Good luck to you and your new important work. Keep posting when you can , we all will be waiting. Hugs! I will certainly miss you, but am so very happy that you have found a new path. I wish you and your family all the happiness and success in the world. I am sure you will inspire your patients and co workers just as you have inspired so many of us in the paper crafting world. I will say au revoir rather than good bye, as I do hope to see you pop in every so often with something creative to share. Dear Danielle - I wish you all the best as you begin this new chapter of your life. Thank you so much for all of the inspiration you have provided me over these past years - I will miss your beautiful projects each month! I will miss seeing your beautiful creations but so excited for your new opportunity! I wish you all the very best with your future endeavours. Best of luck. Your new job sounds interesting and useful -- an awesome opportunity. I hope you love it. I am so sorry that you went through that divorce but happy to see you moving on with a new guy and a (partially) new life. You will be missed! I am happy things are going better for you now . I'm am sure you are where you are most needed now in your full time job! Best of luck to you Danielle! I will miss your beautiful classy style. I have looked to you for inspiration when I was in my own loss of mojo. Cheers to you for riding out this emotional storm and rising above it beyond measure. Most of all, I am thrilled to hear you realize you are worthy of all of the blessings in life. Your patients are so lucky. May each of your days be joyful ones. God bless you as you move forward into what sounds like a wonderful, enriched direction! You are a testimony that He gives beauty for ashes. Thank you for sharing your style and inspiration with us for so many years! I'm so sad that you will be leaving PTI. You have made me a lot "poorer" with your amazing projects over the years. You have always been one of my "go to" designers to get inspiration. I will continue to visit your blog in hopes of seeing more creations in the future. Congrats on your new job. What a tremendous treat to be able to help people. I'm sure you will be wonderful. Also congrats on meeting a new guy. I hope you will be very happy together. Best wishes as you start this new phase of your life. It is wonderful that you have rebuilt your personal life and found a career that you enjoy and find fulfilling. Your creations will be greatly missed. I have always found them to be so lovely. Happiness to you! Danielle, as soon as I read your post I immediately thought of a poem someone passed on to me at a time I needed it. "People always come into your life for a reason, a season and a lifetime. When you figure out which it is, you know exactly what to do. When someone is in your life for a REASON, it is usually to meet a need you have expressed outwardly or inwardly. They have come to assist you through a difficulty, or to provide you with guidance and support, to aid you physically, emotionally, or even spiritually. They may seem like a godsend to you, and they are. They are there for a reason,you need them to be. Then, without any wrong doing on your part or at an inconvenient time, this person will say or do something to bring the relationship to an end. Sometimes they die, Sometimes they just walk away. Sometimes they act up or out and force you to take a stand. What we must realize is that our need has been met, our desire fulfilleed; their work is done. The prayer you sent up has been answered and it is now time to move on. "When people come into your life for a SEASON, it is because your turn has come to share, grow, or learn. They may bring you an experience of peace or make you laugh. They may teach you something you have never done. They usually give you an unbelievable amount of joy. Believe it! It is real! But, only for a season. And like Spring turns to Summer and Summer to Fall, the season eventually ends. LIFETIME, relationships teach you a lifetime of lessons; those things you must build upon in order to have a solid emotional foundation. I believe this to be true in every aspect of our lives not only with people but our jobs, hobbies etc. It's no secret I've told you plenty of times your one of my most fav crafters. You're so super talented and I will miss your inspiration. I do hope to see a post every know and again. It sounds like you've heard your calling. I wish you much success and happiness wherever life may take you. Through your blog you have brightened many of my days and always brought me a smile, warmth and inspiration with your delightful designs. Now I want to pass on the same to you as you enter a new venture, knowing that you will be so much of a blessing to others! I have pinned enough of your pretty cards that Caseing them will keep me busy for quite a long time. You will not be forgotten best of luck as you move forward! I wish you joy, health, & many sweet moments ahead. I've cased so many of your projects,& will truly miss seeing your beautiful creations. Best of luck to you & your family! My mom is going to start Chemo for Lymphoma on the 30th of November. That extra caring person helping with scheduling and follow-up would be a welcomed individual during such an emotional time. I will miss seeing all of your beautiful projects Danielle. You have been quite the inspiration for me. Good luck and best wishes to you and your family. May God bless you! What a shocking surprise to read on the PTI Forum that you were leaving. I am glad you found happiness again and a job that you enjoy. I will miss your beautiful creations but hope to continue seeing your updates on FB. Oh, Danielle. This is sad news for all of us, your fans, but I am genuinely happy for your new direction. I know you have struggled this past year and I am happy you have found new purpose. I would be remiss if I did not say you will be so very missed. You are one of my favorites. I love your clean, fresh designs that are so bright, cheerful and full of heart. God bless you on your journey. I've followed you for years, was lucky to take a scrapbook page class or two at a Lasting Memories weekend several years ago. You are such a sweet person and I have been in awe of your talent. I'm sorry you had to go through the tough time you did but so happy to hear you have someone in your life who appreciates you now. And what a blessing you will be to the breast cancer patients. It can make such a difference in the life of anyone suffering with cancer to have someone like you by their side. I can't think of anything better for you (except maybe crafting--boo hoo). I wish you happiness and much love in your life. What a wonderful calling to help others. I hope you'll still pop in from time to time as your creations are beautiful and I love looking at them. I wish you luck in what will be a rewarding role with your patients. I too am sad to know that I won't have your lovely creations to look at and admire as you have been one of my "fav's". Very proud of you for coming through a terrible time in your life, but look what a blessing you have found. Good luck in the future and your new patients are gonna luv ya! We all will miss you. So glad to hear that you've made it through the awful year most of us knew nothing about. I've always loved your work & the fact that you visited the people who participated in your MIM challenges. Glad you once again have someone you love & who loves you & clearly you're called to the job. I know the rewards of working with those patients will bless your life. I'm actually an almost retired nurse, but can't quite give up what patients give me. Wishing you the best year ever, Danielle! Good luck to you Danielle! I will miss your elegant design work! Good luck to you in your new adventure! Merry Christmas and Happy New Year. May it be a wonderful new chapter for you. Best Wishes. We will miss you Danielle, but I understand and am so happy for you!!! Good Luck in your new endeavor's!!! We will miss you immensely Danielle - best wishes with your career. You deserve all the happiness you can handle and I know that 2017 will be a beautiful year filled with love and strength! Oh, man. I am literally in tears. The last couple months have been crazy, and I haven't been able to read blogs like normal. I was really hoping something had just come up in December. I kept checking Instagram, and thought about asking, but truthfully was afraid of the answer. I have always been mesmerized by the way you put things together, the products you pair, the colors, and just the overall feel of your work. Seeing how you used products was so exciting to me! I just couldn't wait to click and see more. Many a shopping list has been written based off particular projects of yours. Thank you for sharing your creativity and bringing a lot of happiness to me as I enjoyed your work! Best of luck and many blessings on your new adventure! Your kind heart and drive to love and help will be such a blessing to these people. They are indeed lucky to have you! I've been checking your blog and noticed nothing new for several weeks. I had totally missed your sad announcement that you are leaving PTI. I'm sure the past year has been a big struggle for you and I hope your crafting gave you some amount of joy, as it has definitely given to us. I hope this new chapter gives you a fresh feeling of self and well-being. I'm sure the women and families you help will be so grateful for your care and support. You will definitely be missed by all of us who follow you and your contributions to PTI and other design teams. Good luck in your new life. So sad to hear the news! It takes a special person to be able to work with cancer patience. I wish you the best of Luck. I will miss your amazing designs. Danielle, I'll miss you and your creativity! Sounds like you will be doing some amazing work benefiting people in need so I'll try to not be so selfish. Thank you for the 6 years of inspiration! Ok, I have to admit that I missed this post when you posted it. So when I saw the new post over at Papertrey Ink and you were not announced with the Design Team of 2017 I was soooo disappointed. But after reading this post, I see and understand what has happen and how your life is taking a new direction. I am following your blog and will be excited when ever a new post is provided for us to see. I wish you all the best Danielle, and sending a hug, Ann. Thinking of you always, missing your beautiful talents and "praying" for an awesome new chapter to your life's story! So far, so good on the beginning of your new life story. Some day your ex-husband will realize just what he lost! Please come back occasionally to let us know you & your children are doing well?. Merry Christmas & the best 2018 can offer. wait to take a look when I get home. I'm surprised at how fast your blog loaded on my cell phone .. I'm not even using WIFI, just 3G .. Anyways, very good blog! Amazing blog! Is your theme custom made or did you download it from somewhere? A theme like yours with a few simple adjustements would really make my blog shine. Sign up for my on-line class! © 2007-2015 Danielle Flanders. All rights reserved. Powered by Blogger.